Virginia City is what’s left of the Richest Place on Earth, and a major attraction for visitors in Nevada. It’s a wonderful place to visit any time, but if you really want to catch the vibe, come in winter. Without the crowds of summer the old city stands out more clearly for what it is, and what it was. 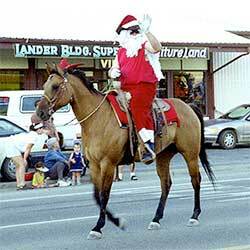 Saturday December 2 is a red letter day on the Virginia City Calendar. You can truly call it fun-filled. You can start early at the Virginia City Senior Center, a long block down 6-Mile Canyon Road where the Holiday Craft & Bake Sale opens at 9 am “until Sold Out”. Enjoy the festive crafts with their creators. Bring the kids to meet the Christmas Care Bear from 2 to 3 pm. Call 775-847-0957. St. Mary’s Art Center, farther down 6-Mile Canyon Road, turn right at the stop sign on R Street, is hosting its third Annual Holiday Faire from 10 am to 4 pm. The works of exemplary artists and artisans from the region are displayed for sale. The V&T Railroad‘s Candy Cane Express is running on December 2nd and 3rd, and again on December 9th & 10th. Check here to see if there are still tickets available. It’s always fun to ride on the V&T’s vintage, heated coaches and travel along the historic route to Gold Hill. Check-in begins at 10:30 at the Visitors Center at C and Taylor Streets for another Virginia City favorite, a Saloon Crawl; this one is “The Grinch Made Me Do It” and it starts at 11 am. It involves getting tipsy at as many of the C Street refreshment parlors as possible between 11 am and 5 pm carrying a cup that costs $20. Designated drivers are encouraged and should be required. Virginia City loves a parade and happily launches at least one almost every month of the year. 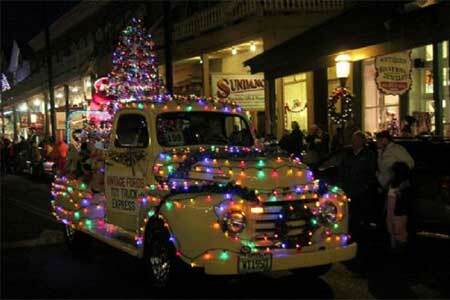 December’s is the Parade of Lights which begins just as the saloon crawling spree ends at 5 pm. It’s a rolling light show — or is it an art show? — along festive C Street. David John & the Comstock Cowboys perform their traditional Christmas in the Sierra concert before a traditionally enthusiastic audience at Piper’s Opera House. doors open at 6:30 pm. 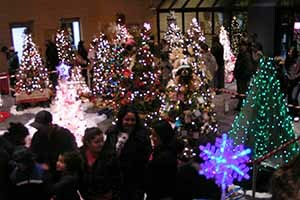 Elko’s Festival of Trees represents for us the whole spectrum of Christmas activities around Nevada: a community event based on creativity and generosity that is also an art show and a holiday feast that has become an integral part of Elko. We wish you warmth and comfort at Christmas, pleasure and satisfaction in the new year. And that’s just one day! The Candy Cane Express also operates the next weekend — December 9th and 10th — and St. Mary’s Art Center offers its “Imagination” program for kids on December 9th. Also on the busy weekend of December 9 and 10 the Piper’s Opera House Players present Tim Burton’s The Nightmare Before Christmas at the historic Piper’s Opera House. I’d tell you more, but the show is sold out. 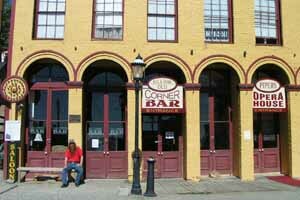 And by the way there’s a highly popular barroom at Piper’s, operated in classic Comstock style: the Old Corner Bar, where Mark Twain, Dan DeQuille and the boys from the back shop stopped in for an aftershifter or two when they’d put the Enterprise to bed. At some point in your visit you’ll get to wondering about food. Here is a list of the restaurants in Virginia City. 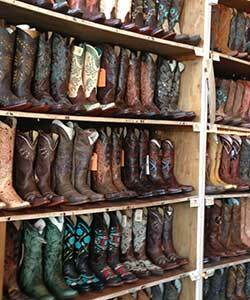 Each of them is somebody’s favorite — you can browse here so as to know what to look for, and make your selection when you get to town. And what is Christmas without shopping? 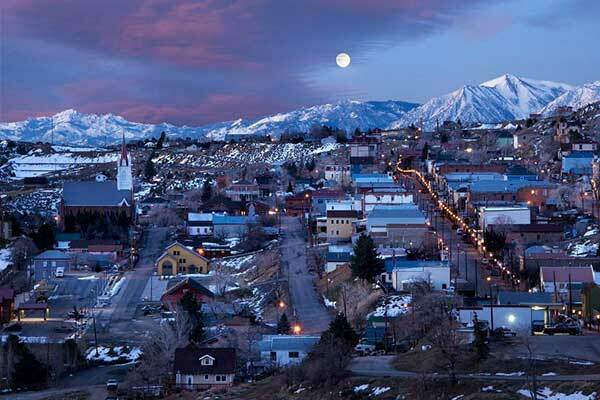 When Virginia City was awakened to its new life as a tourist destination by the stunning success of “Bonanza” on television — Virginia City as Sleeping Beauty and the Cartwrights, father and sons, as Prince(s) Charming — it was a bit clumsy in the shopping department. I remember rubber tomahawks and coonskin caps crowding the shelves. Since then, though, it has recognized the benefit of a more sophisticated approach and the shops are now considerably more inviting. Anyone living within 50 miles of Virginia City should take a day, or at least a long afternoon, to do some Christmas shopping here — it’s more fun than any mall. 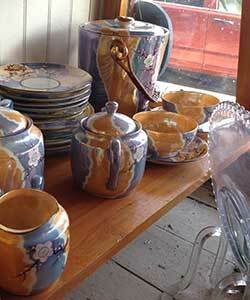 Antiques, jewelry, clothing — every doorway something different, and not a single chain store. Jan, at Primrose Lane Antiques, has been in business for 30 years, the Old Red Garter has the most complete stock of boots and hats of any store I ever saw, and the Silver Stope is a biker’s delight for its stock of leathers for men and women. And of all things, there’s a hat-maker! 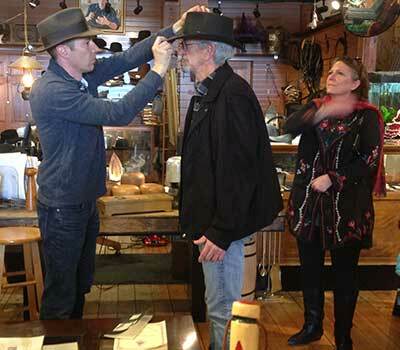 Pascal Baboulin is French and he makes hats by hand — everything from a fedora to a derby to a ten-gallon buckaroo model — to order and perfectly fitted at The Pioneer Emporium on South C Street. Is he the only one in Nevada? 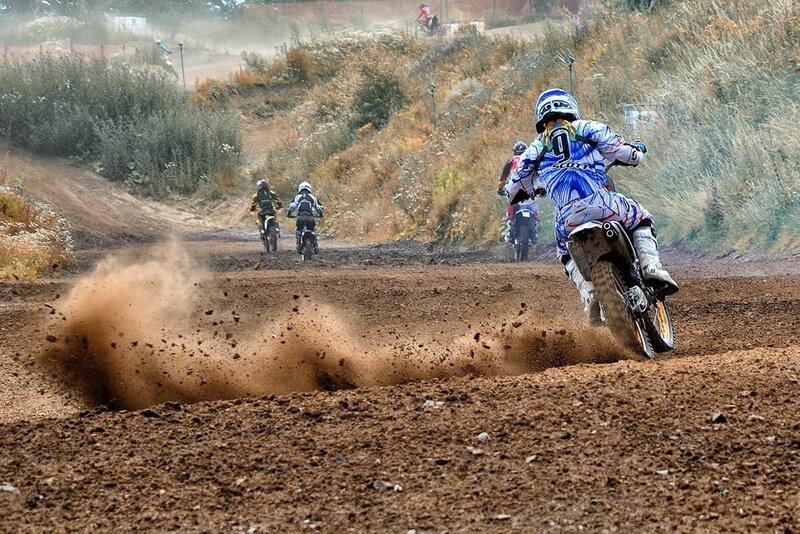 Virginia City Grand Prix appeared first on The Nevada Travel Network. 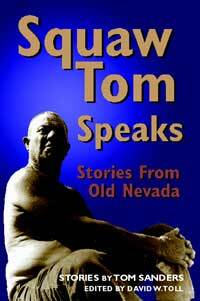 Squaw Tom Sanders was a working stiff, and he lived with Indians most of his life. Over the years he became a story-teller, and in 1974 we began publishing some of his tales in The Gold Hill NEWS. Since then 34 of them have been published as a book. Tom was literally a story-teller. He could read and write, but with difficulty, and he told his stories into a tape recorder for us to transcribe. In 1976 he was named Best Columnist in a Weekly newspaper. This nontraditional Christmas story is one of my favorites. In 1922 I worked on this ranch, and they had a man out there worked with sheep. He was a Basko, his name was Jesus. He was born on Christmas Eve, and the Baskos, they give him the name Jesus. He was blue-eyed and had blond hair — by God, he even looked like Jesus. But he was a Basko and he herded sheep. Well after ten years I come back and worked on this ranch again and here was this same Jesus. Well when he was up in Colorado herding sheep for ten years, he made a lot a money. And one day, when his birthday was gittin’ close, gittin’ close to Christmas Eve, he quit and went to Reno, to a Basko hotel there. Every sheepherder, they carried a little strongbox with ‘em. They was about the size of a cigar box. Some of ‘em would make ‘em out of wood; some of ‘em would buy ‘em and put a lock on it. And of course this strong box had a key too all of its own, but he put a padlock on it too, you know. He’d brought his bedroll over too, and his suitcase and he had a lot of money in a big roll in his strong box. And he had checks in there too from this big sheep outfit. And big rolls of $20 bills. Well, he asked this Basko hotel what it would cost if he’d throw a big party, have a big turkey dinner for everybody on Christmas Eve. And then invite a lot of people to eat. And the wine too, ya know. Well they figured out how much they charge him, so much a head, and so much for the bottles of wine. 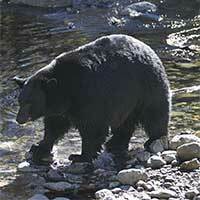 The San Francisco Chronicle reports that black bears are making their way east from the Sierra Nevada into the Great Basin of Nevada where the species disappeared about 80 years ago. More than 500 of the animals have returned to parts of their historic range. So one day he invited me to the party. He said he was havin’ a big party in Reno. At the Basko hotel on Christmas Eve. That was in 1932. I was invited to go up, and I went up. And ol’ Jesus, he threw a heck of a big party. And man did he get drunk. 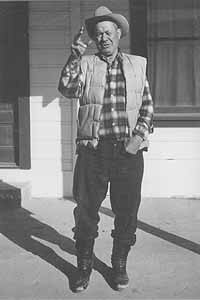 And he’d go outside and holler, give a big sheepherder yell, and yell at all these hoboes. “Come on boys!” he hollered. “It’s Jesus’ birthday! Everybody eats and drinks on Jesus’ birthday.” And he’d give a big sheepherder yell inside that hotel and boarding house, and man, that table was full. He predicted the flourishing agriculture which gave the valley its character for most of the following century. Gardnerville was a ranching center in the 1860s, Minden was created a mile to the north in 1905 when the V&T Railroad started hauling farm produce to Carson City and Reno. He kept that up all day. He’d get up and go out and give another sheepherder yell and boy; these hoboes come flockin’ in. Man, he was havin’ a ball. They knew he had quite a bankroll in that strongbox, $20 bills strapped to the outside, but they set a bunch of guys to watchin’ him and followin’ him around so he couldn’t get away. And pretty soon he says, “Well, I’ve got to go to the bathroom,” and he went on back there. And those Baskos and Frenchmen they was a-watchin’ him pretty close. So he went out of the window. Closed the window and locked it. And he got a taxi, took him to the airport. He must of had it timed just right to get an airplane out. And by God, pretty soon old Jesus was missin’. The owner of that hotel he was lookin’ everywhere for Jesus and couldn’t find him. Finally they went to every bootleggin’ place and all over, but he couldn’t hear any sheepherder yells anyplace. Some feller told them he’d seen him get in this taxi and head off to Sparks. He said, “I’ll be back.” Steered him on the wrong track see. They looked all over Reno until it was Christmas morning, but they never could find Jesus anymore. So they pried open Jesus’ strongbox and they looked inside. They found three big rolls of bills with $20s on the outside, but inside the roll they was all ones. And those checks, they was no good. And the bedroll had just about had it — he was plannin’ on buying a new bedroll anyway. All there was in his suitcase was a bunch of old sheepherder’s shoes, looked about like sled runners. They’d about had it too. Old Jesus, he was long gone. He went back to the Old Country. I think at one time they snoomered him out of some money, beat him out of a lot of money. Well, he got back at ‘em. I recently accompanied my son and his family to Wendover to help with his antelope hunt. My main job was to provide a four wheel drive pickup to traverse the desert and transport the fruits of the hunt home. While getting ready for dinner my son called from Tooele and said he had a puddle of oil in his driveway, that he had recently had his oil changed and that I should check the oil level in his car. The car in fact had no oil in the engine and it was late on a Saturday night. I walked to a local convenience store and purchased four quarts of oil. A friendly taxicab driver asked if I needed a ride and I told her my predicament. A few minutes later she contacted me again and said that she had called the new Grease Monkey shop which was closed, but the owner had agreed to wait for me to see where the oil was leaking from and help me out. After adding all four quarts of oil I barely made it to the shop. Mike Spillman and his brother were waiting for me. They were extremely friendly and accommodating. The foreign car need a special tool and Mike went back to his home to retrieve it. The oil filter had not been installed correctly and was leaking oil. I was only charged a nominal fee for work that went well after closing hours and after the regular staff had gone home. I would like to thank the taxi driver that went out of her way to help out and the Spillmans for their help with a stranded traveler. 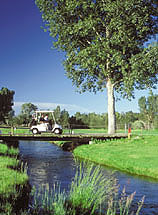 Wendover is a great place and has friendly residents, which is getting to be a rare commodity in our modern age. The Snow King reports November’s Atmospheric River unloaded so much rain, Lake Tahoe’s water level rose about 4 inches in less than 48 hours. The Mount Rose Meadows area at around 8,800′ picked up a solid 3 feet of wet snow with a 5-inch dusting of powder on top for added bonus. 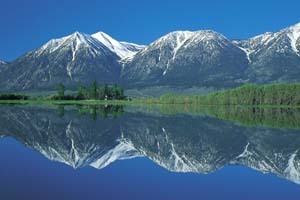 The high elevation means snow when it rains at the lake. 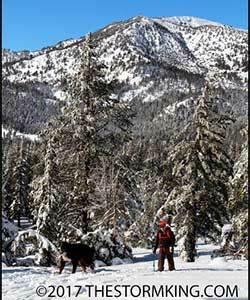 The meadows are very popular with Reno and North Tahoe families for sledding, snowmobiling, x-c skiing and snowshoeing. Snowshoeing is the fastest growing winter sport for women. The Western Folklife Center is pleased to host “Land, Language and Clay“, an exhibition of the ceramic artwork of internationally known Nevada ceramist Dennis Parks. Selected pieces from this exhibition are available for your collection. Click here for the individual photos and sales list. Please contact our Gift Shop at 888-880-5885 or 775-738-7508, extension 243 for purchasing assistance. Dennis Parks is perhaps Nevada’s best-known ceramist. He moved to Tuscarora, NV, in 1966, where he established the Tuscarora Pottery School. Parks pioneered a process of making ceramics using native clays that are single-fired in kilns fueled with recycled crankcase oil. Read more about Dennis Parks and the exhibition. Dennis’ son Ben Parks carries on his father’s legacy of ceramic artwork and a few of his pieces are also on display and for sale through the Western Folklife Center Gift Shop.